The now ghost town of Crystal, Colorado was founded in 1880. Numerous silver mines were in operation here in the late 1800s. The building in this picture was actually used to power a mechanical air compressor for ore processing. 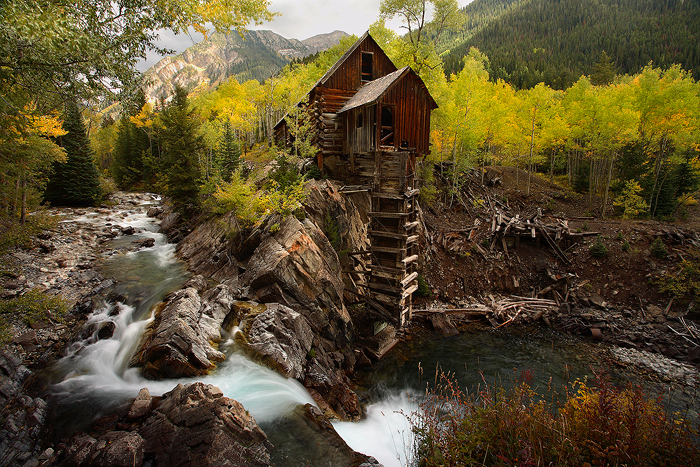 Historically, the building was called the Sheep Mountain Power House, but is now simply known as the Crystal Mill, due to its precarious position hanging over the Crystal River.